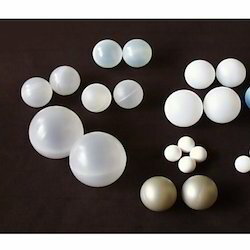 Our range of products include ptfe plastic balls, nylon balls, pp plastic balls, polypropylene plastic balls, hollow plastic balls and pvdf balls. We are offering one of the leading manufacturers of PTFE Plastic Balls all across the country to our customer. 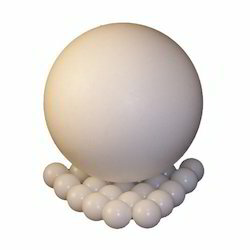 Our polytetrafluoroethylene balls are manufactured using high quality raw material which ensures durability and high performance at clients end. Our range is highly demanded owing to its various features. 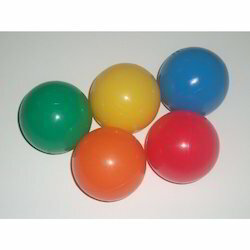 We are offering Nylon Balls. 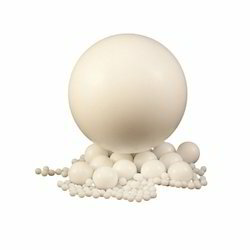 We offer high quality PVC Plastic Balls to our customer which are highly demanded by all. Our PVC Plastic Balls are manufactured using the best quality PVC and other materials so that there is no compromise in their quality. 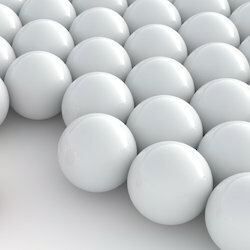 we are offering Polypropylene Plastic Balls to our customer which is an economical material that offers a combination of outstanding physical, chemical, mechanical, thermal and electrical properties not found in any other thermoplastic. 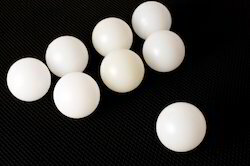 We are offering Hollow Plastic Balls to our offering which is an economical material that offers a combination of outstanding physical, chemical, mechanical, thermal and electrical properties not found in any other thermoplastic. we are offering PVDF Balls to our customer which is a transparent and translucent crystalline polymer with 68% of crystallinity, 59% of fluorine content and 250,000 - 1,000,000 molecular weight. We are offering a well recognized acetal Delrin Balls manufacturer and supplier in India to our customer. 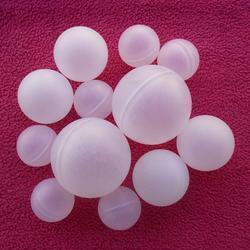 Our delrin plastic balls are very much popular in the market worldwide. With the help of our advanced integrated technology we are able to produce high quality delrin balls. Acetal is the common name for a family of thermoplastics with the chemical name “PolyOxy-Methylene”. Acetal provides high strength and stiffness, enhanced dimensional stability, and is easy to machine. As a semi-crystalline material, acetal is characterized by a low coefficient of friction and good wear properties. Looking for Plastic Balls ?